Keeping accurate financial records of your organization & firms has become a necessity. As accounting functionality makes sure that you’re getting paid properly and on-time or not. So, to help you out there are tons of accounting apps & software are available on the market which might work well the same for any organization. But there are some things to look out. Is the software you have chosen for your organization works well for a long time? Does it is really cost-effective? Does it manage your overall financial task? 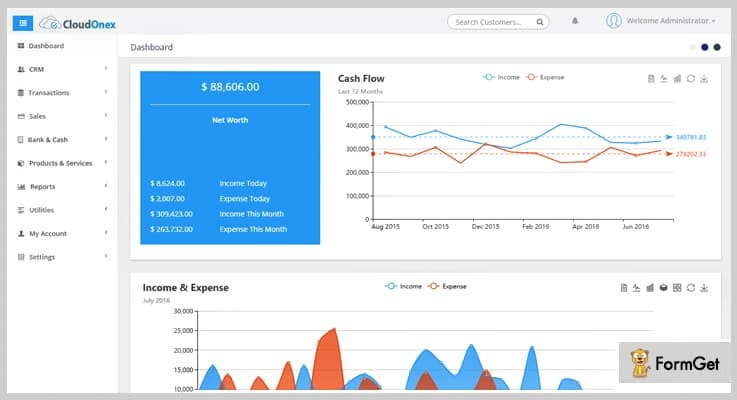 Are you looking to change your accounting software? Well, you know the better answer of all these questions. But, here I would like to suggest you one thing that picking the right accounting software for the first time will make you free from all the above situations mentioned. So, if you have a minute, then spend some time to look over some of the best Accounting PHP Scripts which we have specially selected for you as per their features, functionalities, user ratings and feedbacks which manages all your inventory & stock management aspects. Without any more delay lets dive in below each products one-by-one. 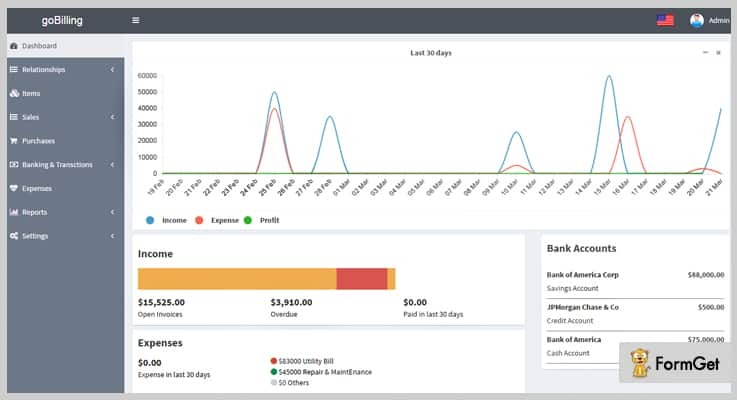 goBilling is an advanced PHP based accounting platform which manages all your invoices, bank accounts, inventory, and quotations in one place. With the help of this product you can easily update your stock information, make purchases & view sales details on its dashboard. You can easily create a fully separated customers area where your customer can manage their overall product purchasing details, bills, payment history and various more. It allows you to track the total cash coming in and going out of your business or organize them in a categorized form. goBilling allow your customer to deposits the total amount on any service through the bank payment system. With its income vs expense section, you can easily track the details of profit & loss on a monthly or yearly basis. This script allow you to keep track of your quotations, invoices, payments etc easily. For all the above feature & functionalities you need pay for this product only $40. Neo Billing is a well-designed business billing & accounting solution which manage all your organization financial details like invoices, quotations, purchase orders, inventory management, data & reports, employee details with their roles etc. It offers well-organized invoice templates to print, responsive & retina ready design which can be fit on any screen size. Neo Billing provides 7-different login option such as login as a business owner, as a business manager, sales manager, customer etc. On its customer login page customer can manage their invoices, payment history, project details etc on its dashboard. It allows you to send the product purchase receipts to the supplier directly. You can manage the products and their livestock status on your website. The product allows you to add custom tax rates and discount rates on per product. At $43 you can buy all its advance and basic features along with 6-months support system. iBilling is an inventory system manufactured for all kind of audit and accounting website. It will allow you to keep tracking the quantity & price of the items exists in your warehouse. 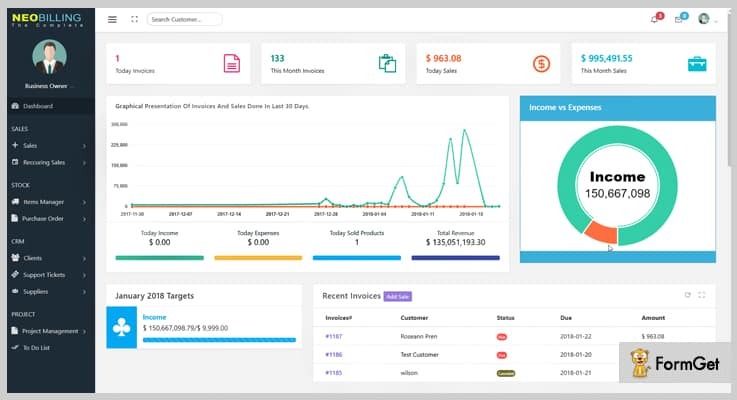 By using this script in your website you can find innovative ways to manage customers data, communication details with your customer, business cash flow, net worth and many more in a single dashboard. By implementing this script into your site you can create invoices quickly and send them directly to your customers from the portal. You can notify your customer via email when their invoices get paid, due or on before the last day of payment. It provides an innovative graph for comparing income or your expenses on a monthly, weekly or yearly basis. This comes with a customize invoices in which you can add your company’s logo, notes & attachment to send your customer. This PHP script will cost you $59 which provides features like a custom field, recurring invoice creating option and more. 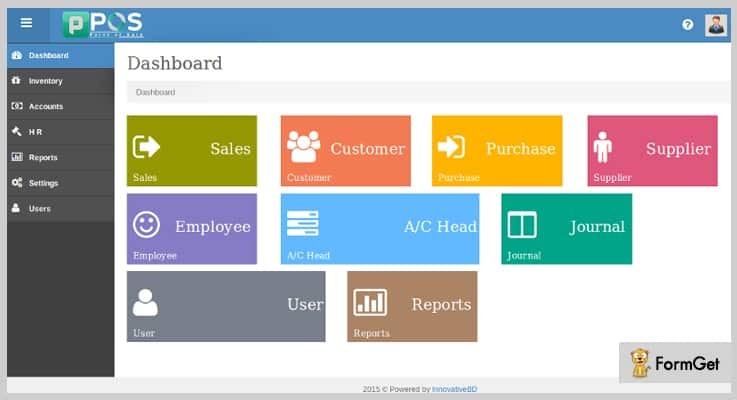 Point of Sales with accounting system is a complete accounting management system designed for small to midsize companies like super-shop, restaurants, sales management and so on who are looking for a complete inventory management system. It provides you a formal accounting report as Ledger, Trial Balance, Balance Sheet, Cash Book etc. It provides a journal management facilities where you can manage all your balance sheet, trial balance etc. It analyzes various reports of your accounts such as income statement, cash book, bank book and total bills receivable. The product makes you aware about the supplier’s due payment. You can keep updating your customer about their payment due date. At $40 you will get all these features & functionalities. All in One Business Management Application is a SEO-friendly accounting software which enables you to manage & track all your financial services or related aspects. You can provide your customer with a client area where they can manage their account themselves. The product comes with to do modules where you can manage multiple lists, task notes, tags, different sortings and many more. It provides automated invoicing & manual invoicing both so that you can provide your customer an automatically invoices as well as manually generated invoices. 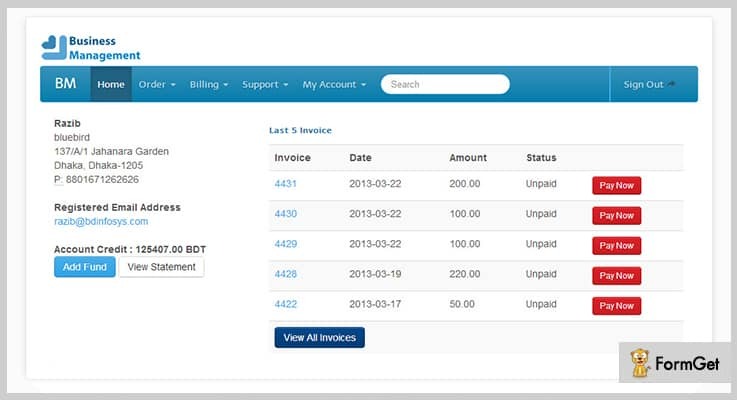 The product supports PDF invoice facility with which your customer can get their invoices with one click. It provides a simple accounting for tracking your income, expense, fund transfers etc. There is a localization option with which you can set default currency & country according to your requirements. It will cost you $41 for all its basic & advanced features along with 6-months support system. MoneyFlow PHP Script is one of the popular accounting script which is suited for any type of businesses, companies, & corporate sites.It is lightweight, responsive, and customizable software which allows you to instantly see all your bank balances & details, overall account statement and more. 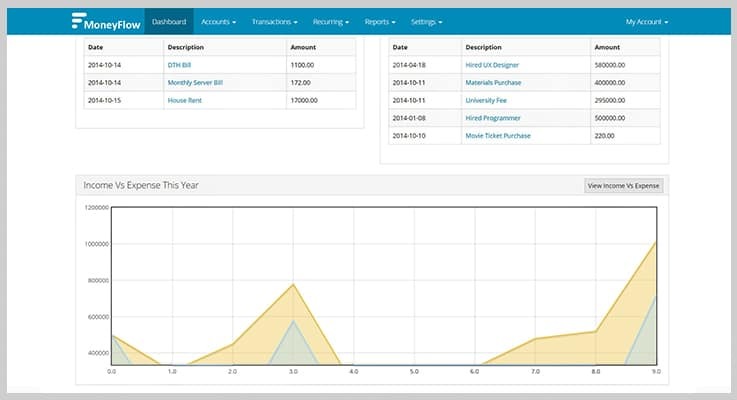 On its dashboard, you can easily display all your account related details, recurring section, transaction reports etc. You can display the total income and expenses via graph as well. The product allows you to access it from anywhere from any device. Its UI is made with Bootstrap which provides responsive layouts and makes your even faster. At $21, you will get all these as well as more advanced features of it. These are the top collection of Accounting PHP Script. We believe that you’ve carefully gone through this products. You should try them for your business once as it comes with numerous of advanced features which we have already mentioned in above. But, still, I would like to suggest you click on each product’s link to know them more deeply. I am pretty sure that, by using one of these software, people can easily manage all of their accounting work without any hindrance. So just try them out & let us know your experience and feedback in a comment section below. We are eagerly waiting for your feedback.